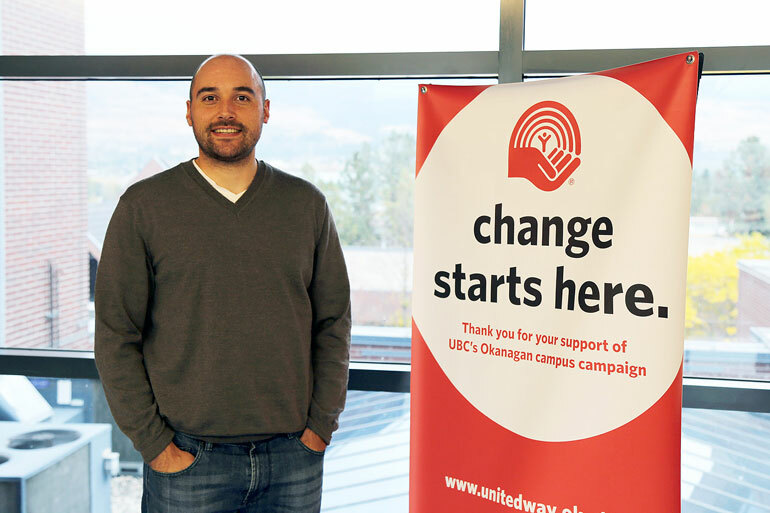 As the United Way campaign gets underway throughout the Okanagan, UBC Assist. Prof. Ross Hickey is examining the various ways charities ask for money to determine what works and why. A UBC Okanagan professor is studying the best way to encourage people to open their wallets for a good cause. Working in conjunction with the United Way, Assist. Prof. Ross Hickey is examining the various ways charities ask for money — email, face-to-face, the soft or hard sell — and determining what works and why. The work is important, says Hickey, as charities are increasingly being asked to undertake important public services that were at one time provided for by government. Charities perpetually have to fundraise to ensure those services continue. The research, which is currently underway, will examine the influences of in-person versus email donation requests, and whether asking for specific dollar amounts impacts people’s decision to give. Hickey, who teaches economics in the Irving K. Barber School of Arts and Sciences, is working on the research with co-authors Justin Smith from Wilfred Laurier University and Abigail Payne from McMaster University. Hickey says there is a growing body of work on charitable giving. Previous studies published by the National Bureau of Economic Research, the Quarterly Journal of Economics and the American Economic Journal, all highlight a number of findings with respect to charitable giving. Among the findings were that supermarket fundraisers fair better when they verbally approach people for donations rather than silently sit back, and that holding lottery-style charity drives outperform strictly voluntary fundraising campaigns.